The two day event was held at Hengrove Park Leisure Centre, Bristol. We followed Poole Freediving Club members David, Tracey and Liz for the day. 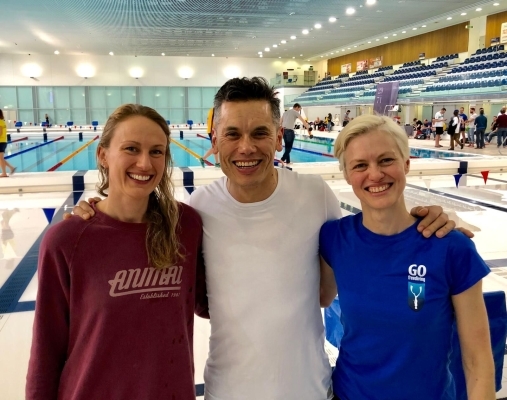 All three are members of the Poole Go Freediving Club. Tracey and Liz who are newcomers to the sport, were also coached and mentored by David for the competition. 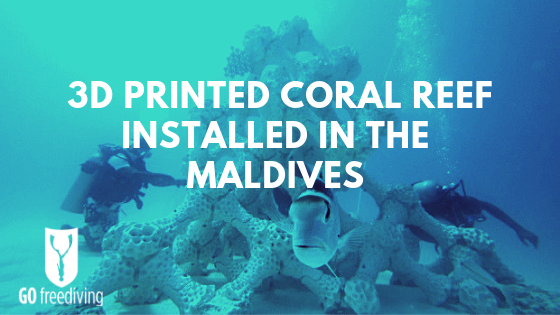 We spoke to David as part of his freediving diary. You can read more about his experience at the competition and how he felt after his first ever black out, here. 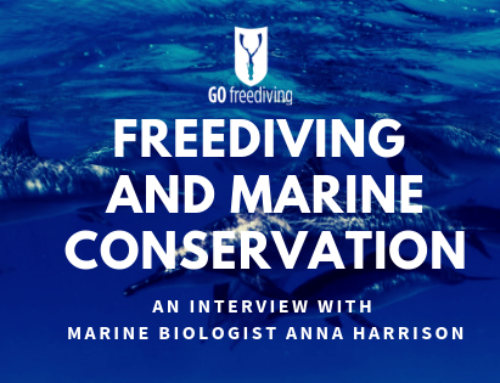 Tracey: I did my course with GoFreediving at the end of August 2018 and was hooked! 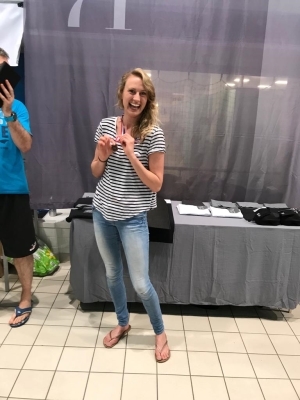 Liz: I started freediving last year and completed my AIDA 2* in May 2018. I had discovered my ultimate happy place floundering around in the sea, watching the oblivious sea life swim past and spending time lying on the bottom of the sea floor, looking at the sun’s rays shine into the water… I then joined the Poole club to train regularly, and after seeing quite quick improvements in distance and breathold, I noticed that my time spent in the sea also improved and I could finally do the full plane swim through at Vobster Quay! Emma: Awesome! 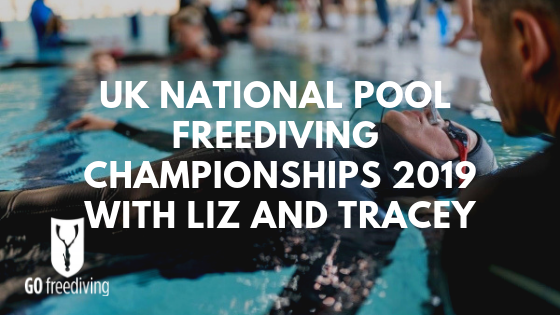 So what made you decide to enter the UK Nationals Pool Freediving Championships? Liz: I got talked into signing up for the team competition last October by David, and before I knew it, my competitive side had taken over. With the support of my wonderful team mates Nic and Delphine, and of course coached by David, we went into full on training mode. Tracey: As a newbie to the sport, I decided to enter the comp to see how far I’d come and what my capabilities were. By December, I thought why the hell not. Let’s give it a go! Emma: Did you make any changes to your lifestyle, for example diet? Tracey: Yes, definitely. The first change was my diet… goodbye to alcohol (which I don’t miss it at all), coffee, dairy and reduced my gluten intake (very hard when you love bread and cheese!). As a sinusitis sufferer, removing the latter two have done me the world of good, so I’m going to try and stick with these. I also recommend thyme tea which is very good for removing mucus from the body. I started drinking 100% pure beetroot juice (mixed with coconut water) which is scientifically proven to bring your heart rate down, and tastes better than it sounds. Liz: I was totally psyched and ready to go back into full training mode and wanted to do the absolute best I could do. I had about a month off the intense training after October, following the previous competition and decided to start up again in December. But then of course Christmas happened, I drank and ate too much, and got ill for about 3 weeks, so didn’t really get started until mid-January. I also stopped drinking alcohol. Emma: It happens! So, tell me about the training! We’ve been following David’s punishing routine for the last few weeks – and it has been exhausting. We know he has been training with you both too, so what training have you been doing? Tracey: Training for me started officially in January so 9 weeks in total, of which I did 7. Outside of the pool training I’m a big fan of Reformer Pilates for core and flexibility training. Aerial and Trapeze Yoga are brilliant for building upper body strength through TRX style exercises, improving spatial awareness and flexibility in your shoulders – my scrawny little arms hated me afterwards but my goodness, it made a massive difference in the water. I also power-walked on the beach until my legs ached for added cardio. Breath-hold and diaphragm exercises were the most challenging because your mind is in control and does NOT like to be messed with. Learning how to completely relax and let your body push through the discomfort of contractions as you slowly inch along to increase your breath-hold, is a humbling experience. 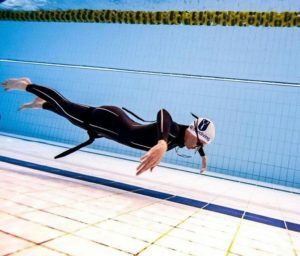 You are in fact, re-training your mind and body to enable you to push the boundaries of what you are used to, however when your dive reflex kicks in underwater, you realise just how incredible your body is at adapting. I incorporated Yoga Nidra, 02 tables, empty lung exercises and visualization techniques to help this along. I won’t be missing those tables anytime soon! 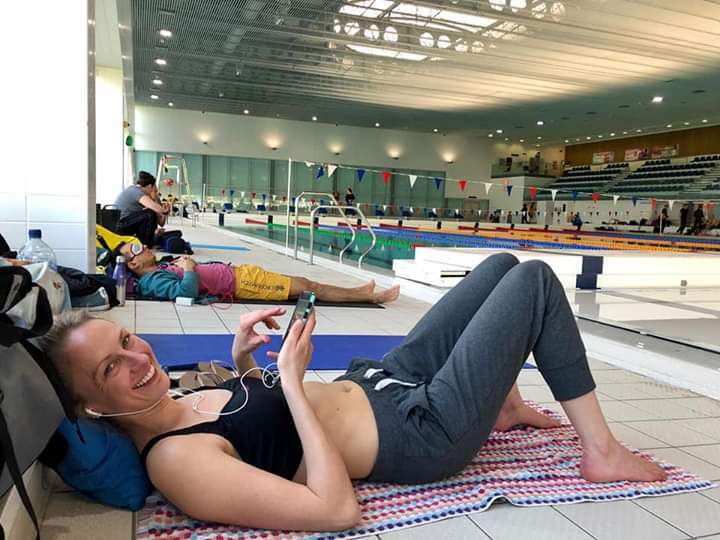 Liz: For the competition last year, I went to the gym regularly, increased my dry breathold from about 2min to 4min in the space of 6 weeks, was doing about 3 apnea walks a week and upped my pool training from once to twice a week. I went into that competition feeling great, had no idea what to expect, no pressure on myself and I was so happy with the results and we came 5th overall as a team. I started doing all of the physical training I had previously done and felt great again. One of the weeks at the start of February I decided to have a week of ‘Max attempts’ to see where I was up to with everything. I had set goals in my mind, and was determined that I was going to make them. Started well with a 5:15 STA on the Wednesday, but then Friday’s DYN and Sunday’s DNF attempts just didn’t work out and I did much less than I knew I could and I didn’t know why. For whatever reason this sent me into a spiralling mind slump! No matter what I attempted after that I just couldn’t do it, wasn’t enjoying it, was being incredibly hard on myself and wanted to give up. What’s the point of turning something you love into something you don’t enjoy? Emma: I completely understand! What did you do? 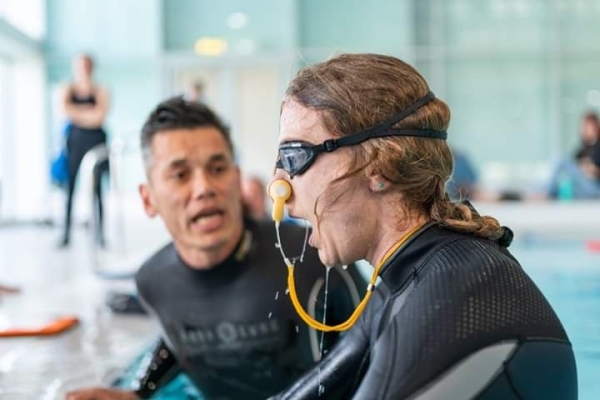 Liz: I had to reset and I had a couple of weeks off doing anything freedive related, and chatted to quite a few people about how to get over this mental barrier. The conclusions everybody came to was that you have to remember why you loved it in the first place. So that’s what I did and I stopped putting the pressure on myself, removed any set goals from my mind and tried to just focus on the fact that I would do the best I can on the day and it doesn’t matter what that is, and just enjoy the whole experience. I still carried on with the physical training, but not quite as intensely (one dry breathold a week is enough thanks), I started sneaking in a beer (or few), if I missed the odd pool session it wasn’t the be all and end all and my results started to improve. Emma: That’s great to hear! 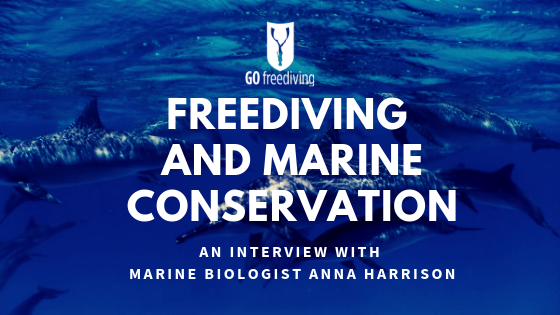 If it becomes a chore then it’s the complete antithesis of what freediving is all about! So, first impressions at the competition? How did you feel Tracey? This was the first freediving championships you had entered wasn’t it? Tracey: It was a bloody 50m pool!!! I’ve only trained in 25m so that was an immediate challenge! As a first time competitor, I was blown away by the warmth and genuine interest from the other competitors – 53 in total from 14 countries and 10 newbies like me. Everyone was happy to share tips and have a laugh. The organisers from Bristol Blue created a slick operation and I felt totally at ease. 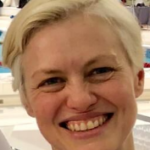 Tracey: The first event – Dynamic No Fins (DNF) was a new one for me which I started training for in January, so my expectations were minimal. It was a very chilled dive and felt good all the way through. Saying that, my weight belt slipped off my hips and down my thighs after my first turn and I had to frog kick wider to keep it from coming off completely. I remember thinking, “Oh well, I still have a neck weight so I won’t float up.” As I came up from the dive, the belt slipped off completely. It actually turned out to be my best performance of the weekend! 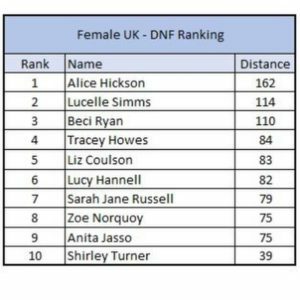 84 metres and 4th place in UK Female DNF. Watching the video back, I’m so proud of this dive and managed to add an astonishing 27 metres to my PB! 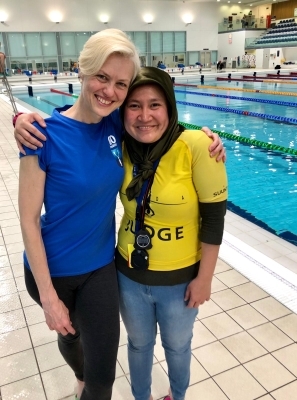 Watch Tracey achieve her new PB – and listen to David making sure she completes her surface protocol within 15 seconds to get a clean performance! Liz: Competition weekend and I was feeling quite chilled about the whole thing. I watched Tracey’s incredible 84 metre DNF which was a PB for her and felt so proud! 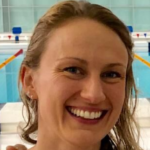 I had managed to do 100 metres in training and slowly the pressure started to come back and I knew I wouldn’t be happy unless I did 100 metres again or a PB. I did a 50 metre warm up and found it really difficult and then the panic set in! During the dive my heart was racing, I couldn’t relax and instead of clearing my mind all I could think was that I couldn’t wait for it to be over! I came up at 83 metres and was immediately annoyed, not at the distance, but at the fact that I hadn’t enjoyed it one little bit and hadn’t remembered all of the mental training I had been practicing. Emma: Such different experiences! And I love the story about your weight belt, Tracey! Was day two any better, Liz? Liz: Yes! I’d had a good sleep and a word with myself, and felt much more relaxed and wanted to enjoy it so that’s what I did and it worked! I was over the moon with my 5:05 STA and felt good going into my DYN. I’d done 112 metres in training but was just hoping to do 100 metres and a turn. By 100 metres I’d decided I’d had enough but forgot to touch the wall so came up at 98 metres! Oops! Not my best but I was happy enough with it. Tracey: Day two meant Static (STA) – the one I was least looking forward to. 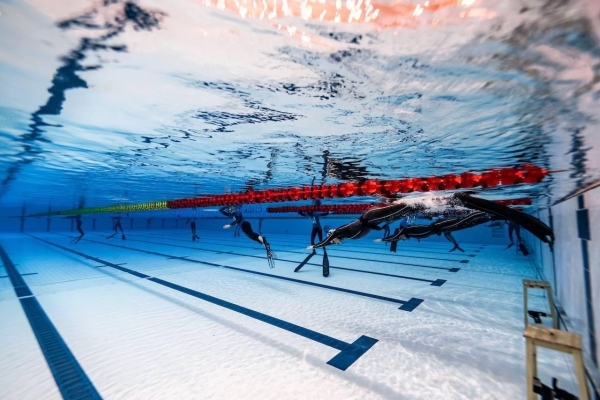 I’d practiced a few max breath holds in the pool in a 1.5 mm suit and usually felt cold halfway through, which made it more difficult to relax. This time, I had the comfort of a 5 mm suit and after prep, felt super chilled in the water. It also makes a huge difference having your coach with you, giving you words of encouragement and updating your time. I remember David’s words as I was coming up to 3 min – “Don’t give up now. You’ll be really disappointed with yourself.” – Mental bribery, but it worked! In the end, I beat my PB by 15 seconds with a 3 min 20 second static, which I was delighted with! 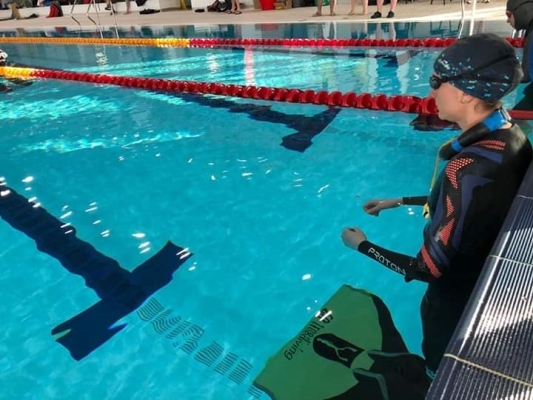 For the Dynamic Bi-Fins (DYNBI) – a new competition discipline – it was the one I’d had the most practice with, so felt confident I may be able to beat my PB. But that wasn’t meant to be… I felt good in the water but got confused with the pool markings, reaching out about 10 metres before the wall to turn and then realising it was still a way off. I came up at 74 metres, 1 metre short of my PB, and felt annoyed. I knew I had more to give, but I allowed my mind to take over. A lesson learned for the future and still a solid dive. Emma: It’s amazing how much our minds can affect our performance! 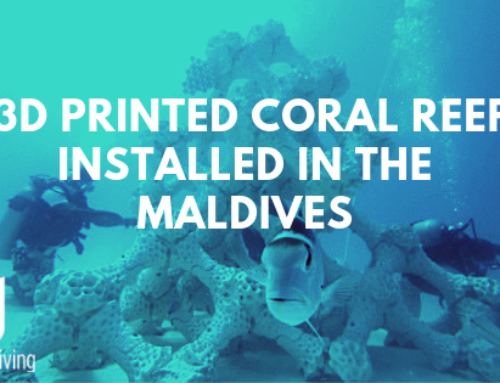 So tell us what the results were for these freediving championships – where you both came. I know you both did amazingly well!! I could not be happier with these results and would love to compete again. 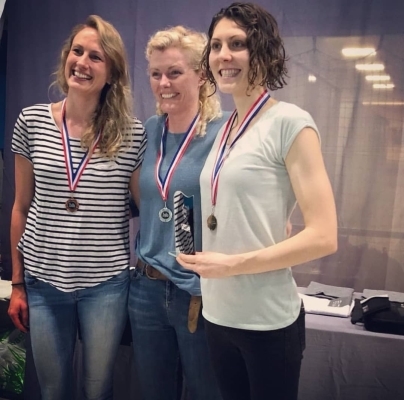 managing to come 3rd in static, somehow sharing the podium with two of the freediving legends Georgina Miller and Alice Hickson….imposter syndrome is real! However, I did work hard for this, and this time round (being my second competition) I found myself having to focus much more on my mental training rather than physical, which for me was much harder! Emma: Fantastic! You two are awesome! How are you feeling now that these freediving championships are over? Tracey: It was one of the best experiences I’ve ever had! If you’re thinking of competing, just do it! Liz: I was obviously chuffed to place 4th overall and am glad I competed. I feel like I’ve now experienced and gone through the physical and the mental training that’s required for these competitions and although I had some massive lows, they were outweighed by the highs of the weekend and the amazing people to share it with. 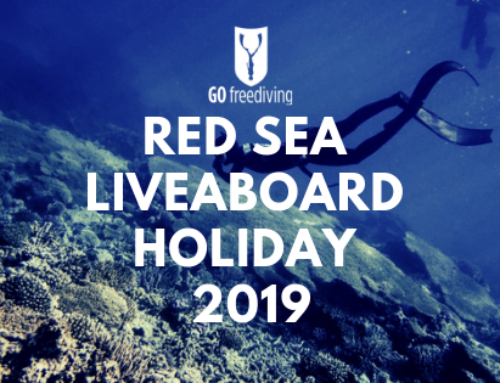 As much as I’ve grown to love the whole experience of freediving championships, I’m definitely ready for a bit of a break… now get me back in the sea!!! Emma: Haha! 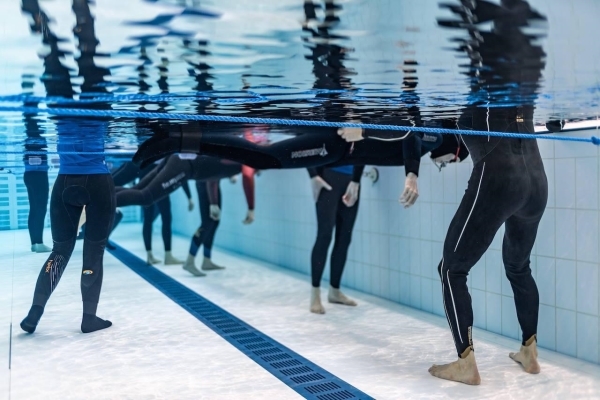 So, is that the end of freediving championships for you? Liz: Not at all! The support and friendliness of everybody there, and feeling part of that community will always keep me going back for more! David has been an awesome coach throughout the whole thing and seeing how far Tracey has come in such a short amount of time has been amazing to watch. Tracey; I agree! Massive thanks to instructor David and teammate Liz who did phenomenally well! Also thanks to the organisers Andy Jardine, Alice Hickson and the team at Bristol Blue, the safety divers and all the amazing competitors. 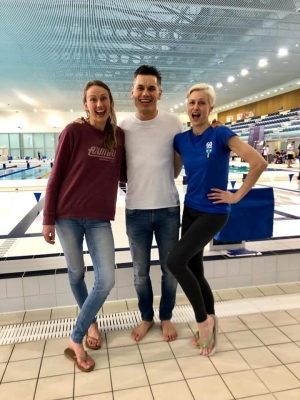 Emma: Thank you both so much for sharing your experience at this year’s National Pool Freediving Championships. I have no doubt that we will be seeing you at even more competitions in the future! Now go and enjoy some well deserved rest! 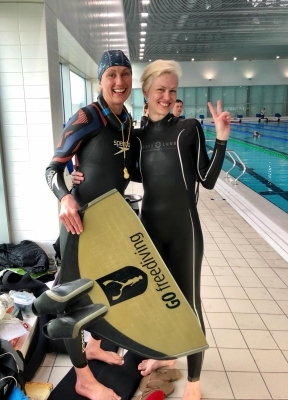 If you are interested in Freediving and joining a freediving club like Tracey and Liz, get in touch! Our Poole Club runs every Wednesday and our Bath Club runs every Friday. 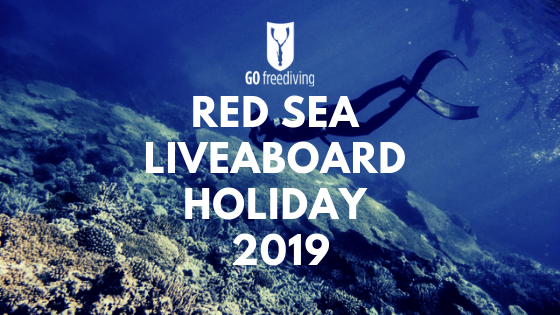 We also have Club Days at Vobster throughout the freediving season.